To help Sonyarehn celebrate National Poetry Month (Inaugurated by the Academy of American Poets in 1996 to celebrate poetry and its vital place in American culture) I offered this poem, there will be new poems every day throughout April so if you’re feeling deprived after the end of IPM, please visit sonyarhen.wordpress.com to enjoy what her blog has to offer. Welcome to day three of National Poetry Month. Today I am pleased to present fellow WordPress blogger and poet Bonnie McClellan. 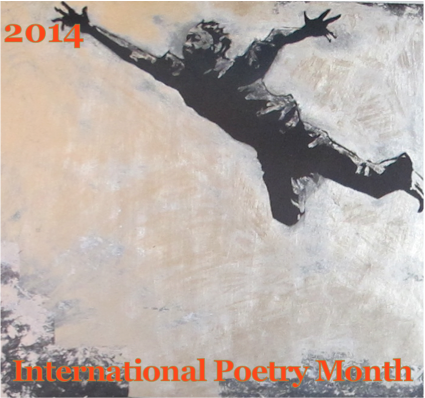 Her blog contains many of her expressive poems as well as poems from other participants in International Poetry Month in February. Check those out on her link below. Enjoy! showers, flossing, the recycling of newspapers. I forget what bird I saw this morning. ~ by bonniemcclellan on April 3, 2014. That’s nice Bonnie. Reflective, and bigger on the inside than on the outer. Thanks John, I’m glad that you enjoyed it!